Belgian endive is shaped like a torpedo and grows to about six inches in length. It has tender white leaves with either yellow or red-colored leaf edges. The leaves offer a soft texture and delicate crunch with a pleasantly bitter flavor. Belgian endive is available year-round with a peak season in the winter months. Belgian endive and endive are both in the chicory genus. However, Belgian endive is botanically known as part of Chichorium intybus and is grown from chicory roots in a dark environment, while endive is botanically known as Cichorium endive and grown in the fields as a green curly lettuce. Belgian endive is also known as Witloof chicory (Flemish for ‘white leaf’) and in Belgium by the nickname, white gold. Belgian endive is a source of thiamin, potassium, calcium, magnesium, vitamins B6 and C, as well as folate and copper. It also contains intybin which is not only responsible for the bitter taste of the leaves but is also known to be an appetite stimulant and a digestive aid. 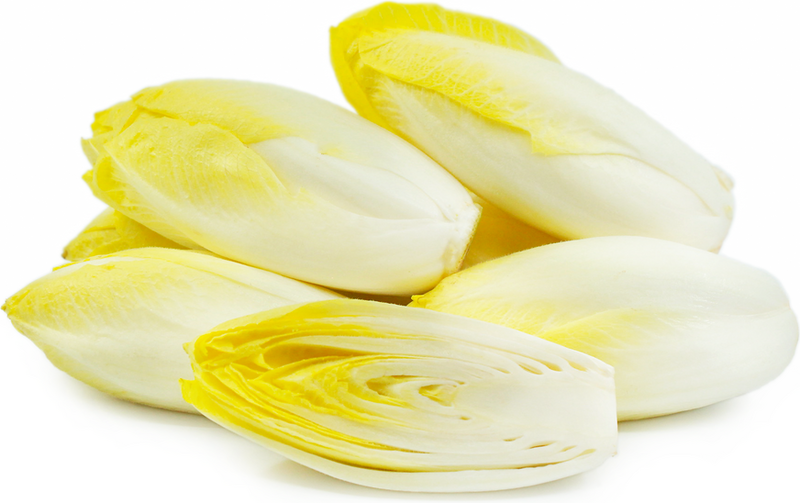 When consumed in large amounts Belgian endive can also act as a diuretic and laxative. While Belgian endive is commonly used raw in recipes it is also versatile in cooked preparations. Roast whole or halved endive with olive oil until softened and serve as a side dish with grated cheese. Grill endive halves and add to cooked grains or serve atop pizza. Add chopped or halved to tarts, quiche, soups, stews and stir-fries. When raw it can be chopped and used in a salad or individual leaves can be stuffed with other complimentary ingredients as a canapé. Braising Belgian endive in butter will slightly mellow the bitterness of the vegetable. The bitter flavor of Belgian endive pairs well with onion, pear, apple, cranberries, herbs such as basil and thyme, walnuts, pecans, butter, cream based sauces, olive oil, bacon lardons, prosciutto, lamb, poultry and gorgonzola, manchengo, blue and feta cheeses. Endive will keep refrigerated for one to two weeks.  In the United States Belgian endive is considered to be a gourmet and expensive vegetable and typically used raw in salads or as an appetizer consisting of individually stuffed leaves. In its native France and in the Netherlands Belgian endive is an inexpensive, commonly consumed winter and spring vegetable and used most often in hot preparations and on occasion raw in salads. There are several classic French dishes that call for Belgian endive such as endive au gratin and braised endives. Modern cultivation of Belgian endive was first discovered in the 1830's by Jan Lammers a Belgian chicory farmer, who stored the roots in his cellar for drying to use as a coffee substitute. However, after several months, he found the roots had sprouted small white leaves, which he tasted and found tender, moist, and pleasingly bitter. It took another few decades to commercially cultivate this 'witloof'. The chicory is grown from seeds, the roots are harvested, and taken indoors to grow again in a dark environment, using a labor-intensive growing technique called "blanching" to produce the Belgium endive. Commercially grown Belgian endive is exported mainly from western Europe with Belgium contributing the largest share. Recipes that include Belgian Endive. One is easiest, three is harder. People have shared Belgian Endive using the Specialty Produce app for iPhone and Android. 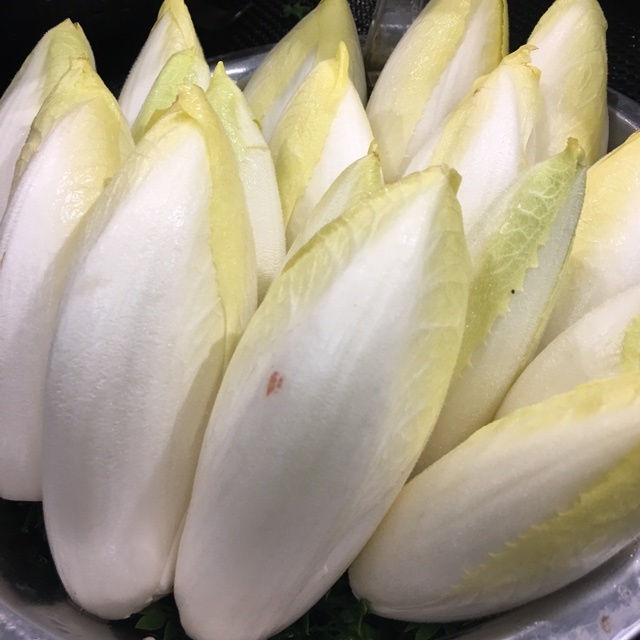 Sharer's comments : Belgian Endive spotted at Vons. 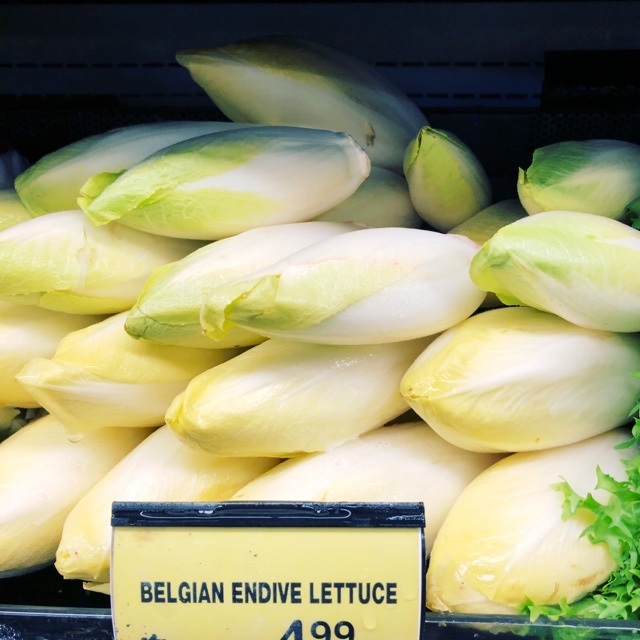 Sharer's comments : Belgian Endive spotted at Safeway. Sharer's comments : I spotted Belgian Endive at Hotel Donaldson! 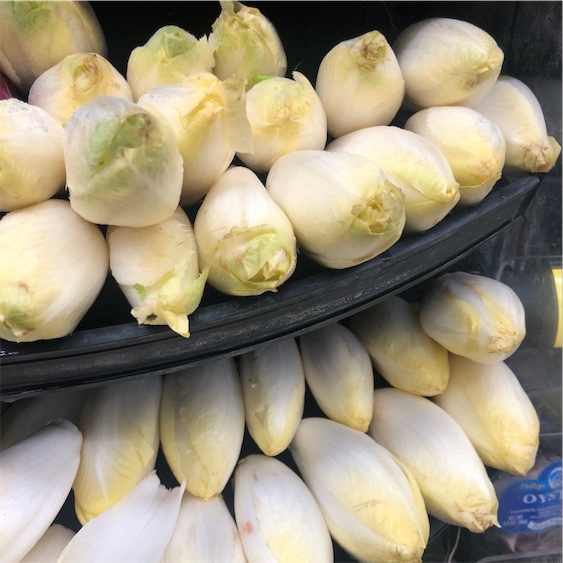 Sharer's comments : Belgian Endive spotted at Thriftway.